We announce the launch of a website dedicated to martyrs of Rojava and which aim is to make known all those who have sacrificed themselves for the Rojava Revolution and perished while fighting to liberate the territory of Northern Syria and Rojava. After 7 years of war and turmoil, our region approaches today a phase of creating new social order and new life for the people of Rojava. Since the liberation of Kobane from the Syrian regime forces in 2012, an incomparable and persistent struggle have been launched in our region against all kinds of reactionary strife, colonialism and plunder. All what we have achieved until today as a result of this enormous struggle, became a spark of hope for Kurdistan and Syria but also for all other places where people are seeking to live their lives in freedom. Beyond any doubt, the freedom that our people are able to enjoy today in this part of Kurdistan is the result of a work done by our martyrs, the outcome of their labor, determination, passion and blood that they shed. For us as members of the YPG, YPJ and SDF media branch the task of telling the stories of those martyrs is our principal duty and most sacred endeavor. Along these principles and to make known the heroes that were martyred while defending the values of the revolution, we announce the website www.sehidrojava.info. 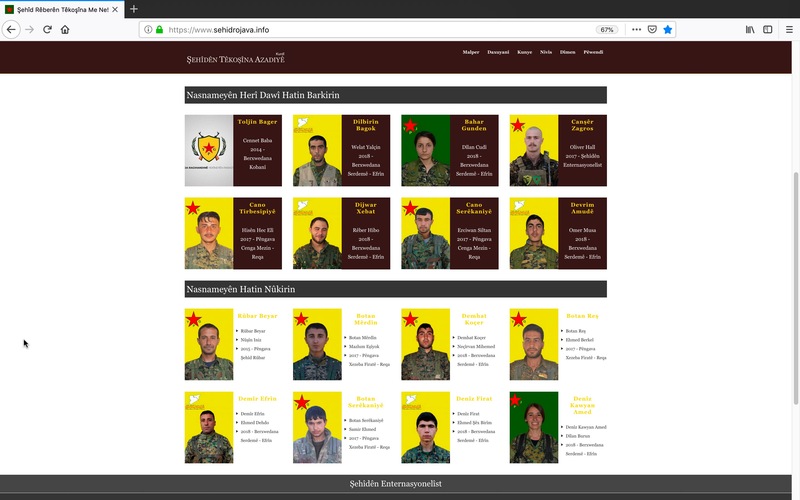 This comprehensive media platform will function as an archive accessible to everyone interested and will include all the martyrs of the People’s Defense Units (YPG), Women’s Defense Units (YPJ) and Syrian Democratic Forces (SDF). We are happy and proud to announce the launch of this project, as we are also greatly beholden to our immortal martyrs. Everyone interested can participate and share with us his/her critics, proposals and opinions, while the contribution with texts, articles, poems and photos of the martyrs that they got to know will help to expand this platform.